UK: A revised technique for mapping the spawning sites of Atlantic Herring in the UK could lead to more efficient and cheaper development of offshore wind farms, according to a new study. As main spawning sites can change from year to year, according to specific habitat and environment conditions, piling activities can be restricted due to limited available information. In its report, Impacts from Piling on Fish at Offshore Wind Sites, the Offshore Renewables Joint Industry Programme’s (ORJIP’s) analysts sought to shift the focus of studies from abandoned spawning sites to regions that have shown more recent activity. By using historic data extracted from herring larvae research, and year-to-year analysis of fish sensitivity maps and seabed habitation, knowledge of the locations of main spawning areas can be improved. This, in turn, can give both developers and regulators more confidence during environmental impact assessment (EIA), the authors of the report stated. Previously, appraisals of spawning grounds drawn from historical fish sensitivity maps have formed the basis of locating spawning sites. However, comparing these maps with assessments of ten years data from the International Herring Larvae Survey (IHLS) and the International Bottom Trawling Survey (IBTS) — as well as year-to-year analysis — has enabled some refinement of the historic data, the report concluded. Eloise Burnett, manager of the ORJIP, a joint industry project involving the UK’s seabed landlords, the Crown Estate, and offshore wind developers, explained that this could enable better-informed consenting in the future. SSE and Vattenfall, which, along with Innogy, funded the study, released a joint statement, adding: "This work helps offshore wind developers and regulators plan construction work with confidence and further establishes the importance of working together with subject experts on collaborative projects to progress scientific understanding." Conditions to manage the effects of noise generated during offshore wind farm construction are already included in the consenting process. These restrict construction activities during times when fish are considered most sensitive to disturbance. 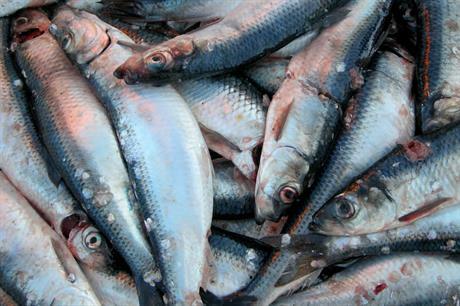 Atlantic Herring are believed to be especially susceptible during spawning periods. Without resorting to intrusive techniques such as grab sampling surveys or drop-down video surveying, it is still difficult to discovering these more specific locations, the authors conceded — necessitating the availability of the best available data.